After all of the interest on our The Body Shop give away, our winner has stepped forward to collect her prize and take the obligatory winners photo. Winner, Leanne Siggers, is pictured receiving her prize along with Rachel from the Body and Brett from Centre Management. 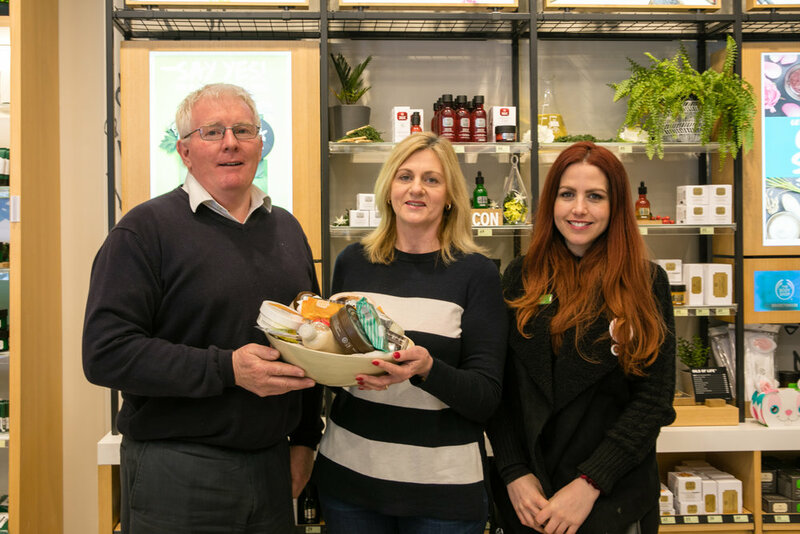 Our winner of the Coffee Plus coffee and chocolate hamper is pictured collecting her prize from business owner Marie Crombie and Center Manager Brett McGrath. Congratulations Claire Knowles, we all hope you enjoy your brew and chocolates. 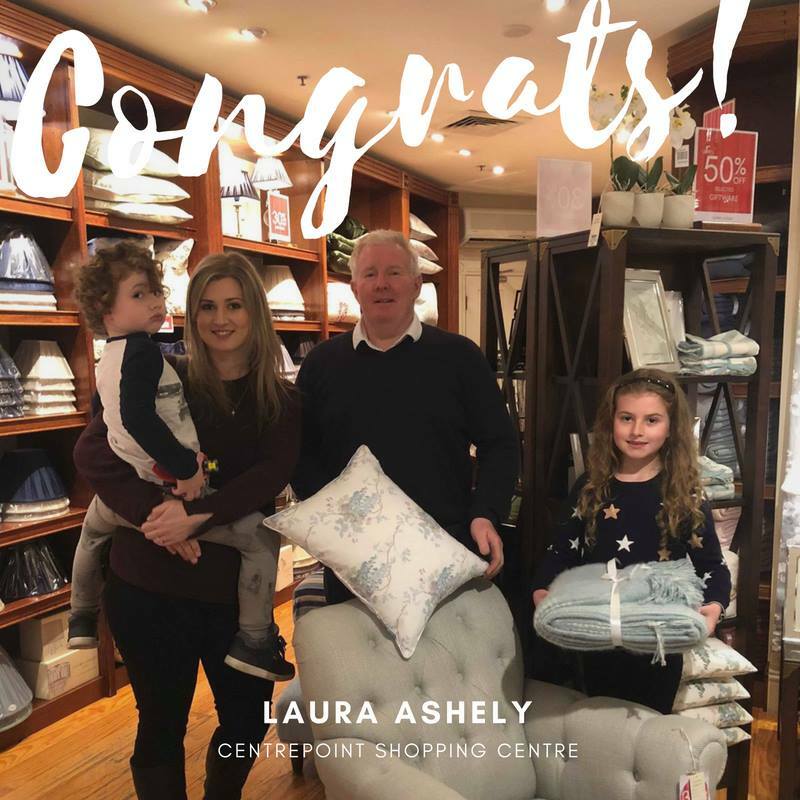 Out happy winner of the Laura Ashley Hobartscatter cushion and throw rug has collected her prize. Willo Mia McClay, along with Charlie and Bonnie are pictured with Centre Manager Brett McGrath. Elaine is pictured with Julian from the Nut King and Centre Manager Brett McGrath receiving her platter.